Coming Back For Seconds: Matt Sticks With The Fix and Black Panther - Wait, What? Someone on Twitter–I can’t remember who, but it was some comic creator that got RT’ed into my life–made the point that more comic reviewers needed to review second issues, and fourth issues, and other non-“jumping on” issues. It stuck with me, for some reason, as I think I tend to be pretty guilty of writing only about things that (a) are first issues and/or notable jumping-on points, or (b) random runs of old comics that are of specific interest only to me. Which isn’t exactly how I decided to look at The Fix #2 and Black Panther #2 this week, but it did make me feel retroactively good about the decision. No, what got me to associate these two books in my head was (siiiiigh) a random run of old comics that are of specific interest only to me. Specifically, Christopher Priest’s run on Black Panther. I’ve written before on the site about my love for Priest’s work (albeit in the context of an essay in which I was pretty critical of Priest, so I dunno–maybe the point didn’t come across). He writes comics the way I enjoy reading them: smart action comics, sometimes a bit too complicated for their own good, with diverse casts and points of reference and a healthy dose of humor, all steeped pretty thoroughly in the teachings of Larry Hama and mid-1980s Marvel. Priest at his best (Xerø, Black Panther, the original run of Quantum & Woody) is in many ways my platonic ideal of a mainstream/superhero writer. So his Black Panther run casts a looooong shadow for me. 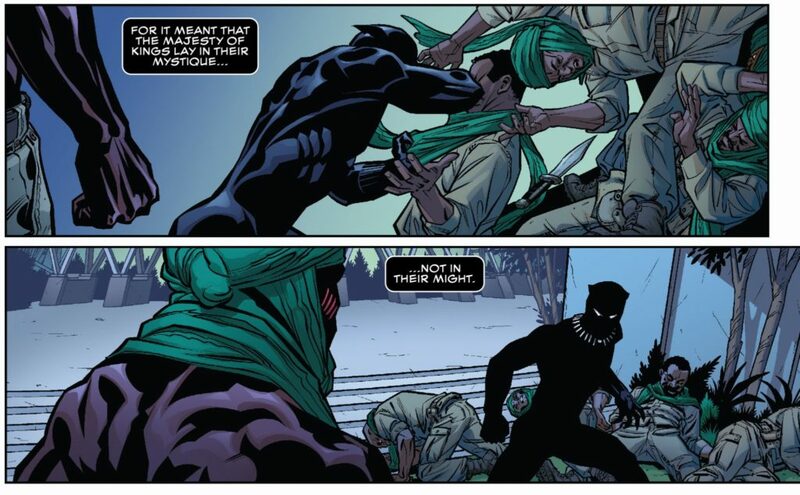 T’Challa was a character I had never much cared about either way before; Priest’s version changed that drastically. He wrote a T’Challa who was hyper-competent, regal, contemporary but distinctly foreign–and he filtered that character through the points of view of much more mainstream American (often white) characters, notably Matthew Perry on Friends in the form of government liaison Everett K. Ross. This device had the dual effect of making T’Challa seem larger than life while also putting his abilities and approach into a contemporary perspective; it also added humor and a non-linear narrative structure to the book. When I heard that Ta-Nehisi Coates would be writing Black Panther, I was excited and intrigued–someone with the talent and prodigious intelligence of Coates tackling a superhero book? That’s enough to get me to buy it off the shelves rather than waiting six months for Unlimited. But I also had the usual non-comics-writer-writing-comics concerns: Would it be visual enough? Would it use the medium effectively? Would it still have any of the feel of the Marvel Universe, or would it just be intriguing as another piece of work from Coates? It never once occurred to me to worry that it would be too steeped in Marvel Universe lore, or that it would feel slightly disappointing precisely because it was so much a part of the Marvel Universe (I think, inasmuch as I can figure out what’s up with the post-Secret Wars MU). But that’s pretty much where I find myself at this issue #2. I haven’t read much Black Panther since Priest left the book in 2003. I’ve tried, here and there, but nothing else hit quite the balance of breezy accessibility and political intrigue that Priest had, and it all largely left me cold. I’m regretting that now, though, because I’m pretty sure that Coates has just come onto the book like any other writer would, and is picking up the threads of recent stories–and he’s not going out of his way to explain who any of the characters are. Brian Stelfreeze’s art, with its melding of jagged lines and a deco design sense, isn’t helping me out much either. Stelfreeze’s work is a joy to look at, and he does excellent work with action sequences, but he loves him some silhouette and shadow, which can make it tough to identify characters. He’s also got an enormous cast to work with, which is exacerbating the issue. It’s possible that I’m misreading the situation–maybe I’m not supposed to recognize most of these characters (although the references I do spot to people and concepts from Priest’s run, or from things I recognize from Hickman’s various Avengers stories, lead me to believe that I am). Maybe it’s all going to come together in a burst of clarity at a major plot reveal in issue #4 or so. But for right now, this is an impressive debut from a new-to-comics writer, with some lovely art that maybe isn’t quite what I’m looking for on a story like this, all combining to miss the things I enjoyed about the Black Panther as a character. 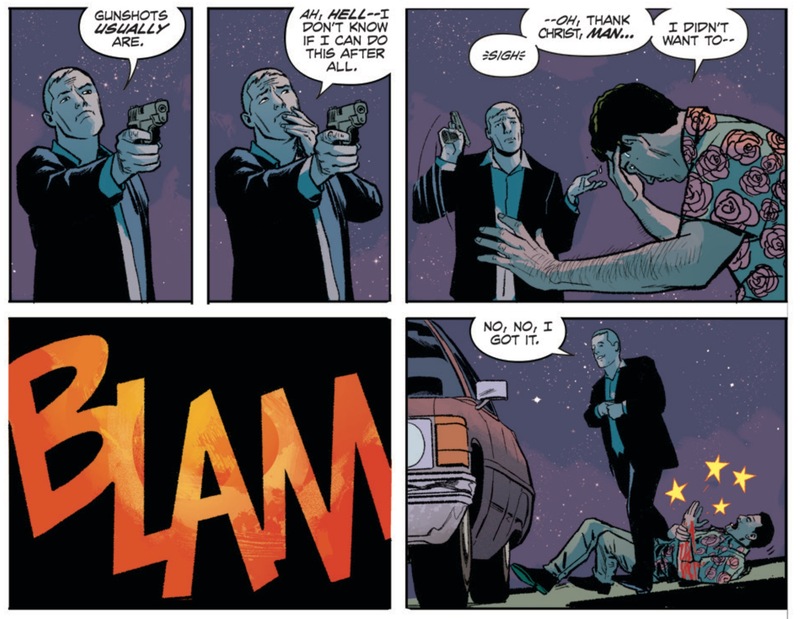 Fortunately, The Fix, the new Image series written by Nick Spence with art by Steve Lieber, manages to scratch the Priest itch much more firmly than Panther does. The Fix sees Spencer and Lieber building on the tones and approach they honed is Superior Foes of Spider-Man, but subtracting all of the superheroics. That leaves a sharp, funny crime book with a fractured timeline and an unreliable narrator, and it’s a complete and utter joy. There’s a lot of Elmore Leonard or Carl Hiaasen in here, slightly dense criminals cracking wise and acting dumb, which is not a bad thing. It’s tough to pin down an overall plot at this point–we’re two issues in and all we really know, plotwise, is that our two leads need to do something involving a dog to pay off a debt to a crime boss–but this is a book that’s all about the filigrees and details and digressions, not about the plot. These guys are funny. The situations they find themselves in are goofy while still maintaining some sense of jeopardy. The stock characters (the crime boss, the internal affairs officer, etc.) each have something heightened that sets them apart from the regular cliche. The gags are well-paced, well-timed, and perfectly sold by Lieber’s art. Lieber is perfectly suited for this book. He’s a non-flashy, even understated artist, but he’s a master of acting, body language, and non-verbal communication, all of which are essential for the types of gags this book is going for. The characters are deliberately pretty unlikeable and largely irredeemable; this hasn’t been a problem through two issues, but I do find myself wondering if the book isn’t going to need SOME kind of counterpoint eventually. Still, that’s an issue for another day and this creative team has demonstrated–here and back on Superior Foes–that they’re sharp enough to figure something out. Part of me wants to say that I wish Coates would take some cues from this book for his work on Panther, but that’s just me indulging my own fondness for a specific slice of the past–in this case Priest’s Panther run–rather than engaging with what’s actually happening now. If I’m gonna give Spencer and Lieber the benefit of the doubt in their likeability issue, I should probably give Coates and Stelfreeze more than just two issues to unfold what they’re doing in their book. I enjoyed the first (and second) issues of The Fix quite a bit, even if it didn’t grab me quite as quickly as the same team’s Superior Foes of Spiderman. Honestly, I think part of that is fir the same reason that a lot of serialized situation comedies don’t have the most compelling start – a lot of the humor depends on character, and character is something that takes time to grow. Superior Foes got to play with familiar characters right of the bat, while The Fix needs time to establish its cast. Still, great stuff and I’m definitely on for the long haul. The first Black Panther was fine, probably better than average, but that’s not enough to get me to pay Marvel prices, even with Coates attached. I generally want two main things out of Marvel books these days – fun and as big a separation from IMPORTANT EVENTS and CONTINUITY as possible (hence my reading Squirrel Girl, Superior Foes, She Hulk and the like). Black Panther wasn’t really hitting on either of those angles, and didn’t smack me over the head with its brilliance like King’s Vision, so I think I’m going to switch over to reading it on Marvel Unlimited with issue 2. I do have to go back and read Priest’s Black Panther on MU though – so many people have recommended it. Any guy who looks to Larry Hama as a model is alright in my book. 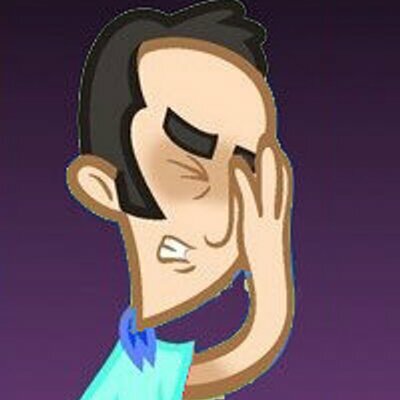 I think that some of the problems come at least from the graphical approach. In TV you usually get actors that manage in the 40 minutes you spend with them to exude enough personality though their acting alone (voice, expressions, mannerisms) even if they their actions don’t accumulate into a solid enough character. And even then I find myself watching the first episode of a comedy, not liking it, then returning a couple of months (or even years) later, binging on it and loving it. In comics it’s even harder to tell stories like that in a realistic style, even with a really good artist like Lieber. A lot of comics comedies would be improved by embracing a more cartoonish and exaggerated style that would exploit the medium’s openings to humor, instead of relying just on situations and character moments.